Read-out Instrumentation Signpost: Smallest micro switch. 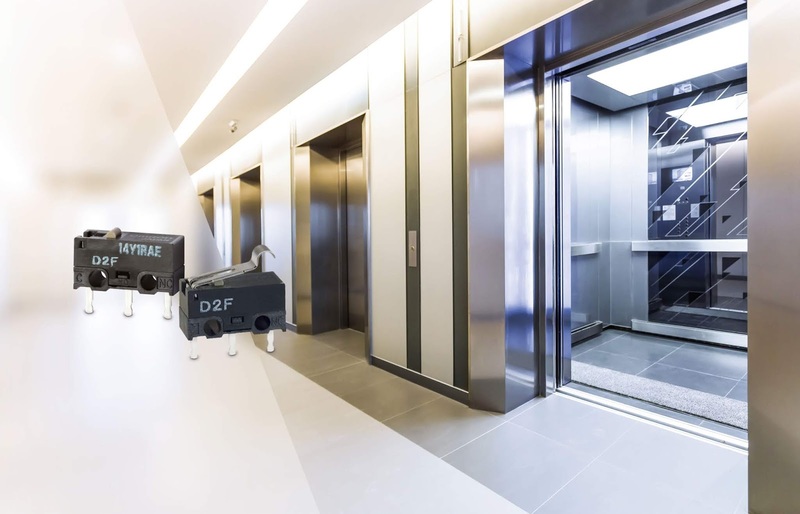 The new D2F-5 switch offers great ratings benefits and is incredibly small at just 5.7mm x 12.7mm and a height from 5.5mm depending on the operating lever chosen. These switches incorporate a snapping mechanism with two highly precise split springs that ensure long service life. Flux penetration is prevented by using insertion moulded terminals. The switch is available in variety of terminal variations including self-clinching PCB, left angled, right angled terminals, solder terminals and compact solder terminals. Applications include building automation, ventilation and temperature control, safety and security, smart meters, lifts and elevators. Phone & tablet in industry. Optimise measurement and transaction speed. User friendly universal temperature transmitters. Business development at water industry supplier. Device manager approved cyber secure. Life Sciences Analytics Software acquisition. Progress in RoHS3 compliance as deadline approaches. High voltage PSU & chargers. AutoQuiz: What Security Property Is Affected If a Hacker Intercepts and Changes Set Point Data? - The post AutoQuiz: What Security Property Is Affected If a Hacker Intercepts and Changes Set Point Data? first appeared on the ISA Interchange blog site. Surface Roughness Measurement Blog | Matt Holmes of SI-Ontario provides technical advice and information about surface roughness measurement.